Warning: This exhibition contains photographs and names of Indigenous people no longer with us. Invasion Day, La Perouse, NSW 1988. Indigenous Custodians and supporters, Uluru, NT 1985. Aboriginal Bands play Sydney Festival, Hyde Park, Sydney 1980. National Aboriginal Country Western Music Festival, Blacktown, Sydney 1982. Founder, Centre for Aboriginal Studies in Music, University of Adelaide, 1986. First album Mysteries of Life (1955). Hit Royal Telephone topped music charts in 1964. Promoted Aboriginal Country Music Show in Sydney 1965. Lifelong dedication to Aboriginal music and the community. Yuin Elders, Culture Teachers, Centennial Park, Sydney 1984. Founding Director, Tranby College, Glebe, Sydney 1981. Voting at first National Aboriginal Congress Elections, Redfern Public School, Sydney 1979. Discussion on The Green Paper at Department of Aboriginal Affairs, Parliament House, Sydney, 1981. Speaking out at NAIDOC Day March, Macquarie Street, Sydney 1981. Tennis champion accepts the winners trophy, White City, Sydney 1984. Visiting Bangate Station, working on Native Title claim, Walgett NSW 1994. At Les Coe Memorial Football Knockout Weekend, Erambi Cowra, NSW 1978. At Les Coe Memorial Football Knockout Weekend, Erambi, Cowra, NSW 1978. Caring for Sacred Site, Waradjuri country, NSW 1978. Lorraine Mafi-Williams, filmmaker, activist. At home, Casino, NSW 1983. Land Rights Workshop, Aquarius Festival, Nimbin, NSW 1983. Biame Hostel (Hostel Life commission), North Sydney, NSW 1981. Coordinator, Aboriginal Sobriety Group, Adelaide, SA 1986. Yeperenye Festival, Alice Springs, NT 2000. National Aboriginal Congress, Aboriginal Legal Services. Before delegation leaves for Africa to lobby for boycott of Commonwealth Games. Press Conference, Sydney Airport 1981. Members of National Aboriginal Congress and Aboriginal Legal Services prepare to lobby African Nations to boycott Commonwealth Games in support of National Land Rights Action in Brisbane. Back row: Sugar Ray Robinson, Lyall Munro Senior. Press Conference, Sydney Airport, NSW 1981. Chair, Foundation for Aboriginal and Torres Straight Islander Research, National Land Rights Action, Brisbane, Queensland 1982. Office Coordinator during National Land Rights Action, Brisbane, Queensland 1982. Writer, actor, social commentator. FCAATSI, AIATSIS, Royal Commission into Aboriginal Deaths in Custody, Professor of Australian Indigenous Studies at the University of Melbourne. National Lands Rights Action March, Brisbane 1982. FCAATSI, Freedom Rides, DAA, Chairperson Aboriginal Development Commission. National Land Rights Action, Brisbane 1982. Billy Cragie, Maureen Watson, Ross Watson and others. The Bjelke-Petersen Government declared the Land Rights marches illegal. Garden City, Brisbane, Queensland 1982. Roma Forum, National Land Rights Action, Brisbane, Queensland 1982. FCAATSI, Organising Committee National Land Rights Action. At her sitting-down place, Moongalba, Stradbrook Island, Queensland 1982. Leads an Illegal March, National Land Rights Action, Brisbane 1982. Aboriginal Islander Dance Theatre. Dance class with Mornington Island dancers and members of the community, Mornington Island, Queensland 1978. Aboriginal Islander Dance Theatre, at Nielson Park, Sydney 1979. With final year dancers at dress rehearsal before performance. Footbridge Theatre, Sydney. Dancing their country, Uluru Handback Ceremony 1985. Woomera Mornington Island Dancers, Adelaide Museum 1980. Yolngu Elder, Artist, Yiradikki Master, Chairman Aboriginal Arts Board. Paddington, Sydney 1979. Master Potter. North Sydney, 1981. Founder Member of Boomalli, Australian Museum, Aboriginal Arts Board. Chippendale, Sydney 1987. On left: Phillip Toyne, CLC, Pastor, Methodist Minister of Cocker Island Church, Chairman Uluru Lands Trust. Uluru, NT, 5 November 1985. The Hon Barry Cohen, Mutijulu Community Leaders. Back ground: Sir Ninian Stephen, Sir David Smith, Phillip Toyne, Central Land Council. Members of UluruKata Tjuta Land Trust signed Uluru National Park Agreement with Federal Government. Uluru, NT, 1985. Mutijulu elders and kids, Sir Ninian Stephen, Paddy Uluru, Rosie and Reg Uluru, Clyde Holding (Labor MP), Barry Cohen (Labor MP). Uluru, NT, 1985. Mutijulu elders speaking out on what the return of sacred country means to them. Uluru, NT, 1985. Black Theatre, filmmaker, educator, Founder Western Aboriginal Legal Services. Essie Coffey made the acclaimed film My Survival as an Aboriginal. Bundeena, NSW 1978. Tent Embassy, Black Theatre, film Lousy Little Sixpence, Koori Productions, SBS. Koori Media Association goes to 1st National Documentary Film Festival. On the road to with 16mm Bolex, SA 1984. The Chant of Jimmy Blacksmith. Newtown, Sydney 1987. Actor (theatre, film,TV), educator, Black Theatre Art & Culture Centre, Aboriginal National Theatre Trust. Heartland set, Brooklyn, NSW 1994. Black Theatre Art & Culture Centre, Aboriginal Theatre Trust. Heartland set, Brooklyn, NSW 1994. Actor, director, culture teacher, TV presenter-actor. Heartland set, Brooklyn, NSW 1994. 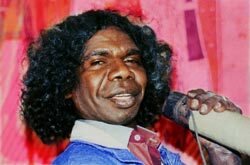 Film actor, Chairperson Aboriginal Arts Board, lawyer. On the set of feature film Jinderlee Lady. Balmain, Sydney 1996. Actor, director, acting teacher, Black Theatre filmmaker, founder Black Playwrights Conference, Aboriginal National Theatre Trust. Stephen Page (dancer, choreographer, director Bangarra) at Brian Syrons funeral. La Perouse, Sydney 1993. Founder Aboriginal Medical Services, Aboriginal Legal Services, Aboriginal Childrens Sevices, Murrawina. Awarded a Gold Police Badge, lobbied all her life to improve conditions in the jails. Guest Speaker, Police Commission Conference. Sydney Town Hall, Sydney 1988. Activist, actor, historian. Tent Embassy, Foundation Member Aboriginal Legal Services, Aboriginal Medical Services, Chairman Aboriginal Arts Board. La Perouse, Sydney 1988. March for Justice & Hope. Redfern Park, Sydney 1988. Elsie Roughseys autobiography, The Sweetness of the Fig, was published in 1984. Mornington Island, Queensland 1978. Activist, poet, playwright, writer, editor, publisher. 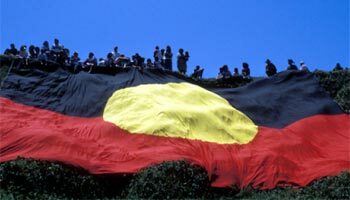 Tent Embassy, Black Theatre, National Aboriginal Education Committee, Treaty 88. Balmain Town Hall, Sydney 1987. Activist, poet, writer. Tent Embassy, Aboriginal Medical Services, NSW Health Commission, PhD Harvard. At the National Poetry Festival, Melbourne 1994. Elders from Arakun and Mornington Island greeting each other before ceremony. Mornington Island, Queensland 1978. Lardil Ceremonial Leader on Bora Ground. Mornington Island, Queensland 1978. Beach camp, windward side. Family waiting for the Dunna and Wanna to come in. Mornington Island, Queensland 1978. Djon Mundine and Native Sons Band, NT 2002.